Ashley graduated from the University of South Carolina with her Bachelor of Science in Exercise Science. She received her Doctorate of Physical Therapy Degree from the University of Saint Augustine for Health Sciences. Ashley has been a physical therapist since 2013 in various settings including outpatient pediatrics, school based and acute care. She, her husband Brandon and their dog Rex moved back to Columbia from NE Florida and now reside in Forest Acres. She enjoys traveling and cheering on the Gamecocks! 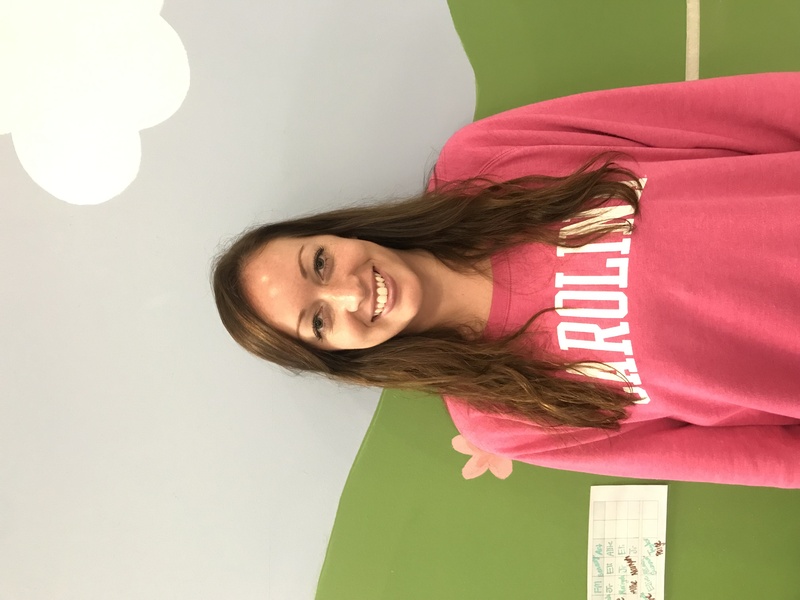 Jackie graduated from College of Charleston with a Bachelor’s degree in Physical Education, and received a Master of Speech Pathology from the University of South Carolina in 2015. She gained clinical experience at The Therapy Place while earning her Masters degree. In her spare time, Jackie enjoys traveling, kayaking, and reading. Kristen graduated from the University of South Carolina with a Bachelor’s degree in Exercise Science and a minor in Communication Sciences and Disorders. 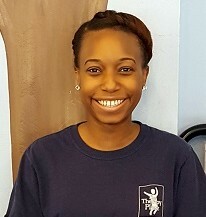 She received her Master’s Degree in Occupational Therapy from Howard University in Washington, D.C. As a student, Kristen gained additional clinical experience with The Therapy Place during her Master level II fieldwork rotation. She currently lives in Columbia, SC with her twin sister Katrina and puppy Rondo. In her spare time, Kristen enjoys shopping, traveling, and spending time with family and friends. Erin graduated from the College of Charleston with a bachelor’s degree in Physical Education, Exercise Science. She attended the Medical University of South Carolina to receive her Masters degree in Occupational Therapy. Erin lives in Columbia with her husband Dennis, daughter Quinn, son Crawford, and German Shepherds Beau and Mack. She has been a pediatric Occupational Therapist since 2005 and has received training and continuing education including: infant/child feeding, SOS feeding approach, NDT for infant/toddler, Kinesiotaping and Interactive Metronome. In her spare time, Erin enjoys hanging out with family and friends, hiking and traveling. Mandy graduated from Presbyterian College with her Bachelor of Science in Biology. She received her Master’s Degree in Occupational Therapy from the Medical University of South Carolina. 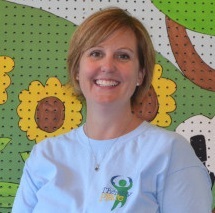 Mandy has been a pediatric occupational therapist since 2009 and loves working with children and their families. She and her husband Brad have a daughter, Caroline. They enjoy spending time with family and friends, traveling, and cheering on the Gamecocks! Ashley graduated from the University of South Carolina with her Bachelors in Mass Communications, Public Relations as well as a minor in Communication Science Disorders. Ashley has tons of experience with children and loves more than anything to be around kids. In 2016, she completed her master’s program at South Carolina State and earned her degree in Speech Language Pathology. 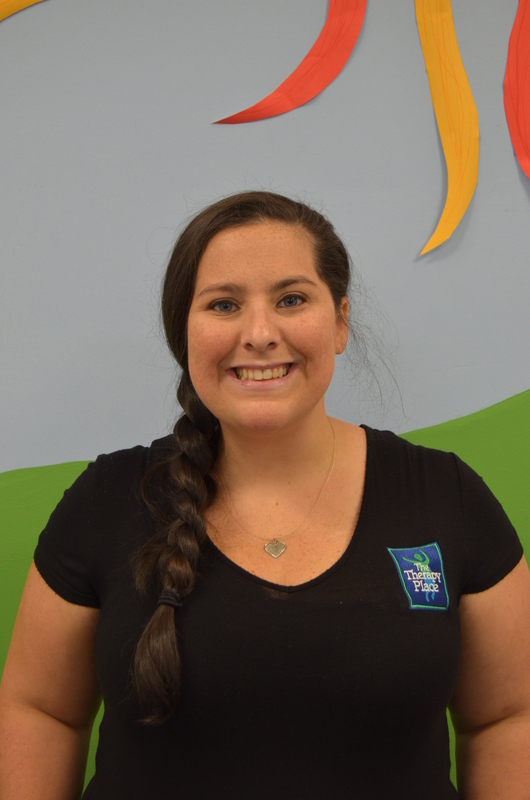 Soon after the completion of her masters program, Ashley joined The Therapy Place team as an SLP. She is so excited to begin her career where it all once started 3 years ago as a Bridges Aide. Ashley likes to spend her time with her family and friends and enjoys being a mama to her four-legged baby named Mae. 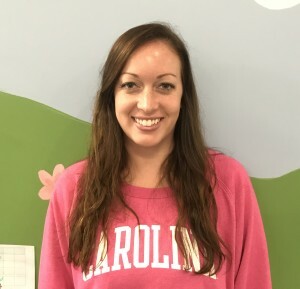 Caroline graduated from Presbyterian College with a Bachelor’s degree in Psychology and from University of South Carolina with a Master of Social Work. She has experience working with children with special needs in a variety of ways, including applied behavioral analysis (ABA) therapy. Additionally, Caroline holds a teaching license in special education and brings 3 years of experience teaching in the public school system. Caroline lives in Columbia with her husband, Matt, and their dog, Cooper. She loves to spend time with family and friends at Edisto Island, what she considers to be a little piece of heaven on earth. Lindsey graduated from Tennessee Wesleyan University with a Bachelor’s degree in Special Education and a minor in Service Learning. She holds a teaching license in special education and brings 4 years of experience teaching in the public school system. Lindsey lives in Columbia with her husband, Stephen, and their dog, Leia. She loves to travel and visit new cities with her family and friends. 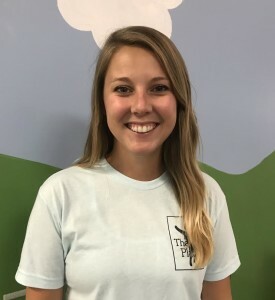 Caroline is from West Columbia, South Carolina and is a senior at the University of South Carolina where she is majoring in Exercise Science. She is currently applying to graduate schools to study Physical Therapy. Caroline started as an intern in the Bridges program and loved it so much she decided to stay! She loves hiking, going to Gamecock football games, and playing with her cat, Sebastian. Taylor is a Florida native. She graduated from Columbia International University with a Bachelor of Science degree in General Studies and Bible with a minor in Psychology. 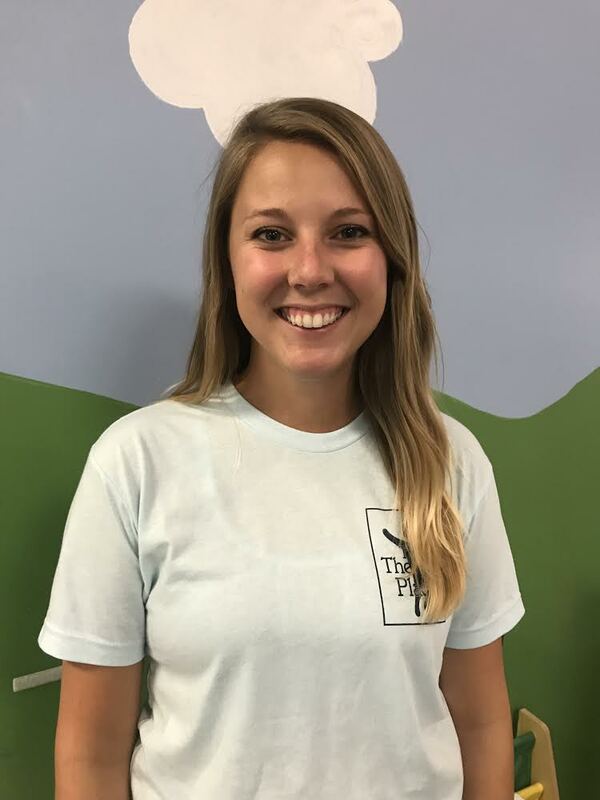 Taylor has a passion for working with children and has a love for coaching and sports ministry. In her free time she enjoys spending time with family and friends, playing soccer, and traveling. Ellie graduated from The University of South Carolina with a Bachelor’s degree in Public Health and a minor in Psychology. 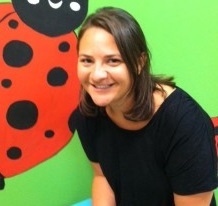 She plans to earn a Master’s of Occupational Therapy degree and has a passion for working with children. In her free time, Ellie enjoys spending time with family and friends, playing tennis, and traveling. Summer graduated from the University of South Carolina where she majored in psychology. She is interested in returning to USC for graduate school. 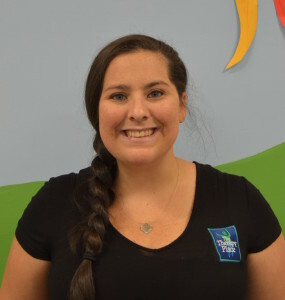 Summer has a passion for working with children and teaches group fitness classes in her free time. Elizabeth is completing her Bachelor of Science in Exercise Science at the University of South Carolina and will graduate in May 2019. After graduation, she will attend Anderson University to complete her Doctorate of Physical Therapy. In her free time, Elizabeth enjoys time spent outdoors, playing the piano, and visiting new coffee shops. Allison graduated from the University of South Carolina Honors College with a Bachelor’s degree in Public Health and a minor in Psychology. 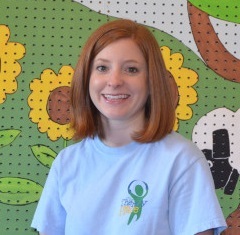 Allison loves working with children and plans to attend graduate school to earn her Master’s in Occupational Therapy. In her free time she enjoys painting, volunteering, and traveling. Joye received her Master’s of Public Health from the University of South Carolina and her Bachelors of Science, in Biology, from Charleston Southern University. Before starting her Master’s program, Joye worked in Indonesia for two years teaching English. She has experience with special needs children all over the world. She worked with DHEC’s children and youth with special health care needs program and Camp Burnt Gin. In her free time, you can find Joye at any Gamecock game with her family or spending time with her friends. Dawn holds a Master’s of Public Administration from the University of South Carolina, with an emphasis in Non-Profits and Grants and an undergraduate in media arts, also from USC. She has work experience as the Grants Manager of Richland County, Ready to Learn Coordinator for SC Educational Television and also served as a Grants Writer/Special Events Coordinator for the Indian Waters Council/Boy Scouts of America. 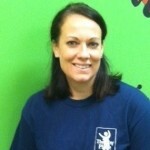 Dawn lives in Forest Acres with her husband, James, their two children, Cooper and Laura, and their dog Sophie. Dawn enjoys spending time with family and friends, being at TTP, traveling, her church – TRUMC, reading and golf. Teresa comes to us with over 30 years of billing and medical clinic experience. Teresa lives in Gilbert with her husband Eric, their daughters Marisa & Eliana, their spoiled black lab Penny, and 5 bunnies. 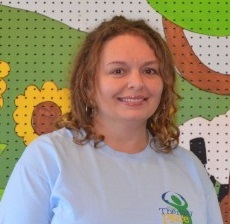 In her free time, Teresa enjoys spending time with her family, music, reading, hula hooping and gardening. Terry studied Early Childhood Education at the University of South Carolina but landed in business management for the past twenty years. She and her husband, Rob, have been active in The Therapy Place since its inception in 2008 — from cooking for the TTP golf tournaments to performing the original renovations to our building. This Gamecock girl and her Tiger husband live in Irmo with their 4 legged children Albert and Cocoa.